Soft application and high fit stick type texture with elastic puff to give easy contouring make up look with make up stick. 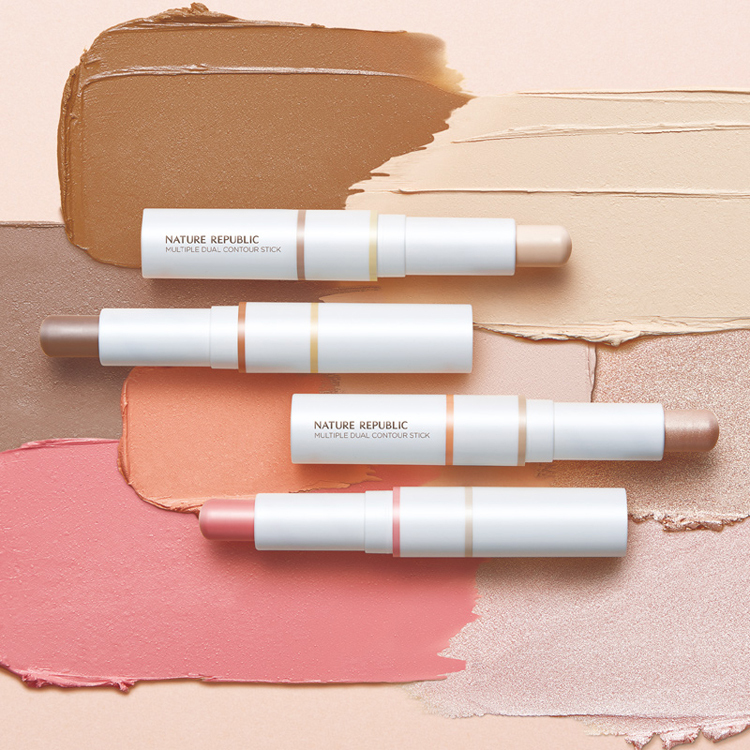 Dispense an appropriate amount by turning the applicator, and then gently apply foundation, blusher, highlighter, and shading on the areas shown in the picture. After application, blend with a puff for well-contoured face.